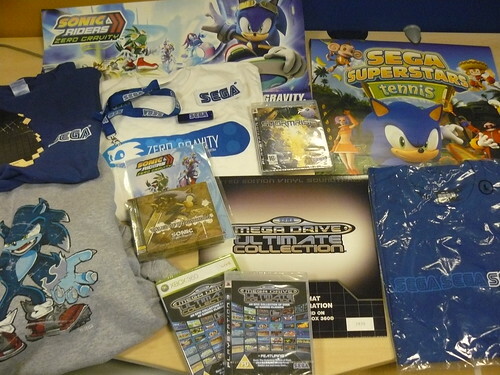 So here they are, all items will come with a Summer of Sonic 2009 artbook for extra win. Creative Assembly’s dystopian future sees you control both the struggling mutant Sai race and militant soldier order The Echelon in a fast paced real-time strategy game. The first RTS to truly be 3D as you command units not just on a battlefield but across different levels of buildings as well. You must own a PAL/Region 2 capable PS3 to play this game. Poster is double-sided A2 with both sides different. An awesome collection of over 40 gaming classics including Sonic, Streets of Rage, Ecco, Shining Force, Golden Axe, etc. Please note this is PAL only, you’ll need to have either console in PAL format. We’re giving the winner a preference as to the format. Again poster is double-sided and has a vertical and horizontal side. All the way from Japan, this soundtrack to Black knight features all the instrumental music tracks from the game and features works by Drossin, Jacques and Tallarico. Where would we be without SEGA lip balm? Well, we’d just have a t-shirt obviously. Did you know I actually picked most of the tracks for this? Its number 2839 if you are interested and features six tracks from Space Harrier, Ristar, Vectorman, Golden Axe, Phantasy Star II and Vectorman 2. Light gray and emblazoned on the back with a distressed version of the hand drawn Werehog artwork. Never seen before, this comes from the Sonic Wrecks archive of prizes that we have squirreled away in a bunker at SEGA – but they do actually belong to us. 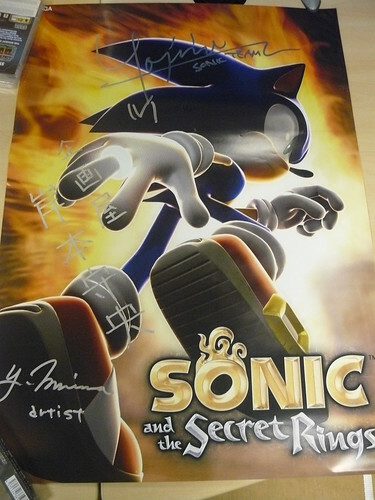 Its signed by members of Sonic Team including Secret Rings Producer Ogawa-san. Seriously I’ve had these for 2 years and not given one away yet, so very special ya hear? – All items can be won worldwide apart though there are those mentioned that are specifically for PAL/Region 2 areas.